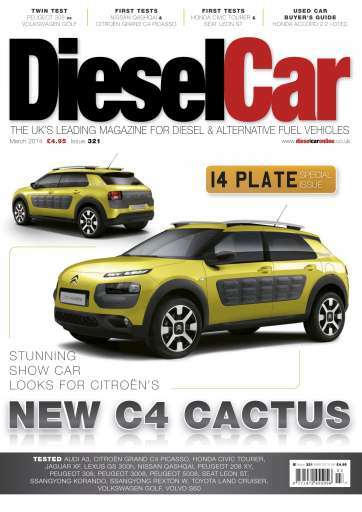 It’s the March 2014 issue of Diesel Car and that can only mean one thing – the countdown to when the first ‘14’ plate motors drive off the forecourts of your local dealers. And if you’re planning to be one of those people, you really can’t miss our comprehensive guide on how to get the best deal. There’s lots of hot deals to watch out for, and all the best hints and tips on squeezing the last penny out of the salesman. We’ve behind the wheel of the brand new Nissan Qashqai, and drive the Citroën Grand C4 Picasso and Honda Civic Tourer for the first time on UK roads. 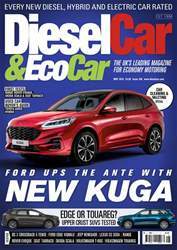 We’ve tested the facelifted versions of the Peugeot 3008 and 5008, and driven the updated SsangYong Korando and Rexton W. SEAT’s new estate, the Leon ST, is put through its paces, and we drive the Volvo S60 with the fuel-sipping 2.0-litre D4 engine under the bonnet. 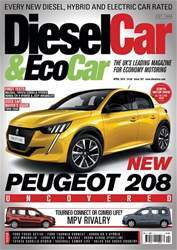 This month’s twin test centres around two middleweights, the new Peugeot 308 and Volkswagen Golf – which one takes class honours? And we’ve been behind the wheel of the petrol-electric Lexus GS 300h, the eco-friendly, Audi A3 1.6 TDI, updated Toyota Land Cruiser, luxury Peugeot 208 XY and Jaguar XF 2.2-litre diesel with lower CO2 engine. 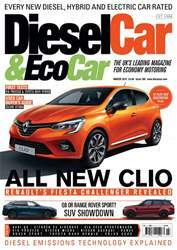 Our used car buyer’s guide is all about the Honda Accord 2.2 i-DTEC, and alongside, there’s all the favourites, including comprehensive long-term test reports, Doctor Diesel, The Extra Mile, High Mile Club and Gadget Inspector. There’s also the most comprehensive news and marketplace sections in the business, and our DataFiles pages remain the most up-to-date anywhere on the newsstands.